Chef patron Adam Handling is to launch his hotly-anticipated restaurant with the new Belmond Cadogan Hotel on Thursday 28 February 2019. Following a year of conception, Adam Handling Chelsea will be the main restaurant within Belmond’s first London property, inspired by the ‘Best of British, with the new eatery now taking bookings. 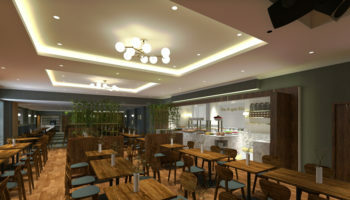 The restaurant will feature a large, open kitchen and counter dining alongside the main restaurant area, which seats 45 and has its own entrance on the corner of Sloane Street and Pont Street. 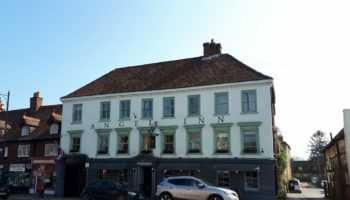 The menu larger than those at any of Adam’s other Frog restaurants, and will showcase a ‘fundamental commitment to sustainable practice, with a focus on championing smaller producers’, uses ingredients from across the country. Handling has appointed Liam Burns as restaurant director to look after the front of house team and overall customer experience. 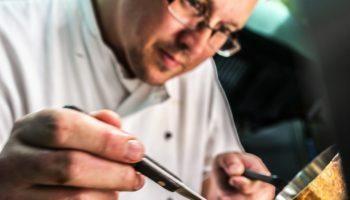 As chef patron, Handling will also look after the entire food and beverage offering throughout the hotel, and will look after a total of 90 staff overseeing the six main elements to his offering at Belmond Cadogan Hotel, from the restaurant to the private dining room and room service. He has also promised ‘the best afternoon tea in London’ in Cadogan’s by Adam Handling, the hotel lounge that will serving a two-hour afternoon tea experience that Handling and executive pastry chef Chris Underwood have spent nine month developing. 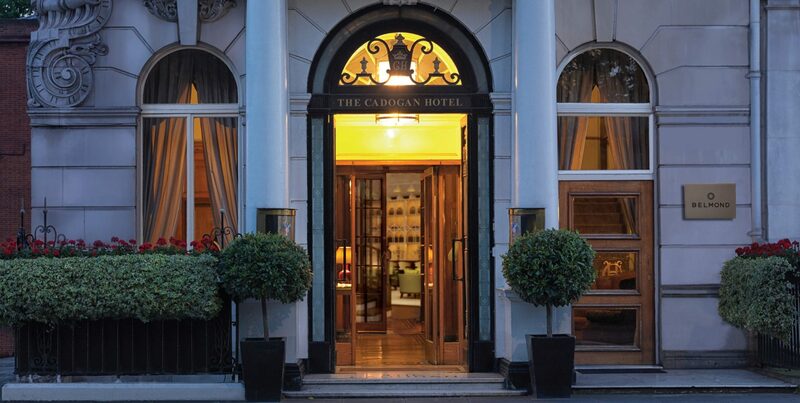 Belmond Cadogan Hotel will reopen this month, with bookings for the 54-bedroom luxury property now available. Comprising five 1800’s Queen Anne-style buildings, alongside the restaurant headed up by chef Adam Handling, the hotel will also be home to a spa, fitness centre and library, as well as over 400 pieces of original art. The lobby and bedrooms have been designed by GA Design International and architects Blair Associates. Belmond was sold to LVMH Moët Hennessy Louis Vuitton, a luxury French goods company, for just over £2bn ($2.6bn) earlier this year.